When I am enhancing the iris, the tools apply changes to the entire circle of the iris, even if it is only partially visible. For most photographs, this is the usual case. Part of the iris is normally behind the eyelid. And, for iris enhancement, the Mask Tool is not available. The menu pops up, but the tools are greyed out. So it is impossible to change the iris hue correctly. See attachment. 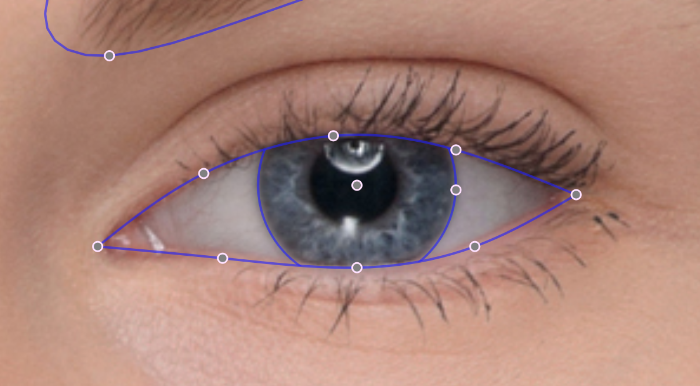 When you add the fitting circle to the Iris it will go under the eyelid if the eyelid is partially closed. Please see the example image below. If you then change the Iris colour it will only influence the visible area of the Iris. You should not get color overlaying the upper eyelid.